Yes – Bill Clinton is never out of mind of the powers that be. Can’t we just forget about him for Pete’s sake? Or is it that we really yearn to return to those carefree times of yesteryear, when the Presidency was a titillating soap opera and the running of the country revolved around a young woman’s blue dress, wars were ended for all time and our sophisticated military weaponry was untested against homicide bombers? Battle Hymn of the Republic is from rmcccentral.com, sequenced by Perfessor Bill Edwards. Because of the nature of humankind, ever there will be wars. Two of my sons were in military service during the Gulf War. When I was a young wife, my husband served three tours of duty in Vietnam. My father was too young to serve in World War I and too old for World War II. My grandfather tried to enlist in World War I, both in Canada and the U.S., but was rejected. Those two were lucky. My great grandfather was called up for the Boer War while living in Africa. My Virginia forefathers served in the War of Northern Agression, the War of 1812, the American Revolution and on back through the Colonial Wars. “I am the great-grandson of a soldier of the Civil War. I am the grandson of a soldier of the Great War. I am the son of a soldier of Korea, and Vietnam. I am still a soldier, albeit in the Retired Reserve. ARGGHHH! then tells the story, via e-mails from a friend, of Lieutenant Leonard Cowherd, 1st Platoon, C 1/37 Armor, USMA 2003, who was killed yesterday in Iraq. Freedom is a costly goal, yet we who have known its joy cannot live without it. This is a heart-rending story. “My son-in-law, 2LT Cowherd, was killed this morning in Iraq. He is the armor soldier currently being referred to in the news. Platoon Leader. USMA class of ’03. “My daughter has been staying with us since Leonard deployed. I was with her when the car pulled in the driveway and she was notified by the team from Ft Eustis tonight. Surreal is not the word. “You can imagine that this is a numbing time for us. “We expect an onslaught of details and issues tomorrow. I will be at home until such time as we are settled. Or are they Democrats? 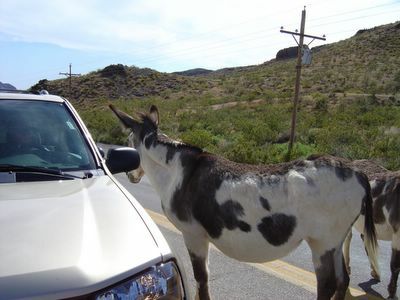 I was recently travelling along Route 66 in Arizona and my vehicle was plagued by a herd of what I thought were donkeys. I posted about it at Blatherings -Is this what is meant by “Get your kicks on Route 66“? Now I am reading at Reasoned Audacity, that they really are Democrats. I should have known! || Arizona Democrats – Always looking for a handout! 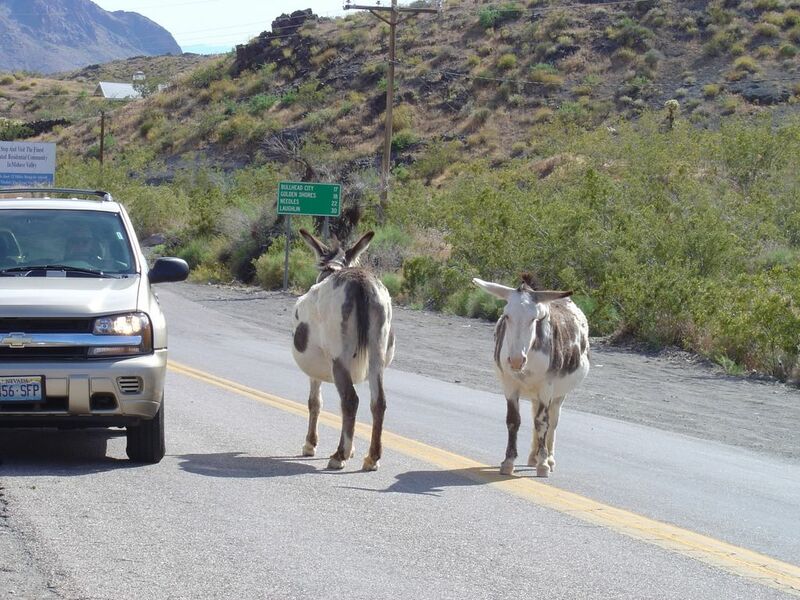 || Are they wild burros, or are they Democrat Donkeys left behind by the working Gold Miners? 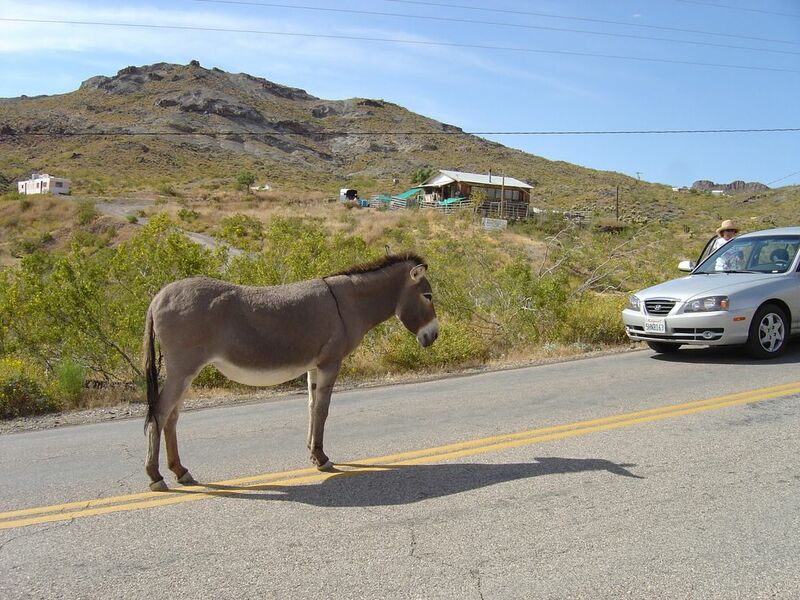 || This Democrat fellow is the donkey Median Monitor of Route 66. It’s a public road, which means that he owns it. 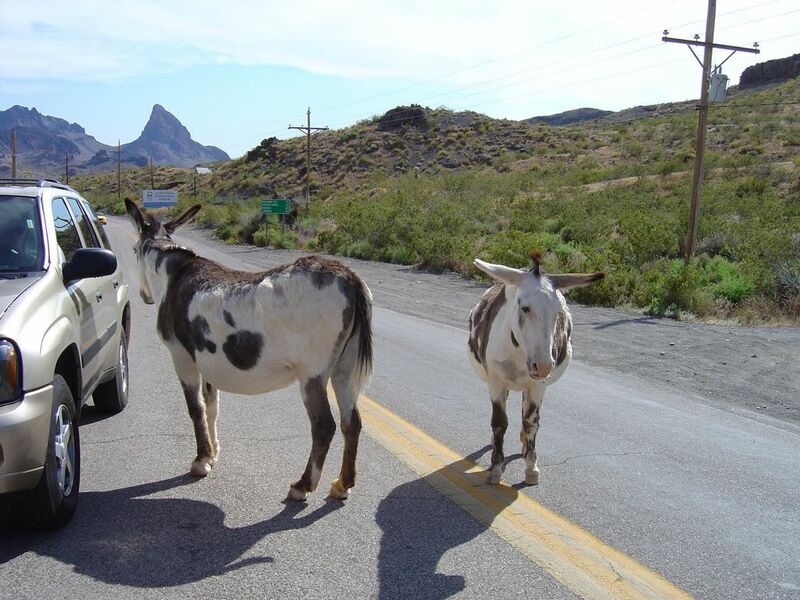 || Welcome to Oatman, Arizona – Home of the Wild Burros and the wild donkey Democrats who now own Route 66. “More than two years ago, the Pentagon issued detailed rules for handling the Koran at Guantanamo Bay, Cuba, … The three-page memorandum, dated Jan. 19, 2003 … written a year after the first detainees were brought to Guantanamo from Afghanistan, reflects what U.S. officials said was a specific policy on handling the Koran, one of the most sensitive issues to Muslims. The Pentagon does not have a similar policy regarding any other major religious book and takes ‘extra precautions’ on the Muslim holy book, officials said. Only Muslim chaplains and Muslim interpreters can handle The Holy Book of Islam, and only after putting on clean gloves in full view of detainees. U.S. Muslim personnel must use both hands when touching the Koran to show “respect and reverence”. U.S. Muslim personnel should treat The Holy Book of Islam like a “fragile piece of delicate art”. U.S. personnel are not to disrespect or desecrate the Koran, The Holy Book of Islam, in any way whatsoever! U.S. Military Police are prohibited from touching the Koran, The Holy Book of Islam. When moving The Holy Book of Islam from a cell, it must be placed on a “clean, dry detainee towel”. It must then be wrapped in such a way as to not turn it over at any time. Muslim chaplains must then document that while The Holy Book of Islam is in transit that it is never placed in any offensive area. As anyone can see, the Pentagon’s rules are quite complicated. Although it would take considerable effort to flush a Koran in a toilet, many of these rules could be innocently forgotten by someone from another culture, such as an American GI, a truck driver, a janitor, etcetera. Meanwhile, Muslim terrorists worldwide are using the Holy Book of Islam as explosive booby traps, as bombs. These same people blow up Mosques where Korans are stored and they explode the Muslims there who are praying and holding and reading the Koran. Even more outrageous, Muslim extremists interpret the teachings of the Koran to give them license to commit mayhem upon unbelievers, such as the citizens of the United States. Why are we providing this Most Holy Book of Islam to the Muslim potential terrorists that we hold in prison? By doing so, we are aiding and abetting those who plot against us. Why should we obey their rules? If we were smart, we would NOT provide the Koran at all to Islamist detainees at Guantanamo. Instead, we would make available the Holy Bible, which is customary in “our culture”. Let them use it as they will. Read it or don’t. There are no capricious rules to fret about, as Pentagon officials say they take extra precautions only on The Holy Book of Islam. As quoted in the Washington Post: “The Pentagon does not have a similar policy regarding any other major religious book … officials said.” There will be no beheadings if one accidentally falls into the trash bin or is deliberately rendered. In our culture it is the words that are holy, not the printed books. It would be extremely rare, if known at all, for devout Christians or Jews, to use their Holy Book, as a murderous weapon. Contrast that with the happening of just a few hours ago in Pakistan, where a Muslim worshiper at a holy site blew up his fellow Muslim worshipers, killing and injuring scores, while spattering Muslim blood upon probably hundreds of the Holy Books of Islam. (2005-05-27) — Muslims in Pakistan and Afghanistan rioted today in response to new reports that copies of the Koran were desecrated when two American buildings collapsed after being struck by American airplanes in September of 2001. The American Civil Liberties Union (ACLU) revealed that fragments of the burned and soiled Korans were discovered in the ruins of the World Trade Center towers in New York City. What Will They Believe Next? In 1886, Frank Mason Robinson designed an elegantly-written “Coca-Cola” label using flowing Spencerian script. Robinson was a partner with pharmacist John Pemberton and together they invented and named the beverage “Coca-Cola”. This is the same Coca-Cola trademark that Muslims worldwide say is “anti Islam”. Believe it or not, if you view the Coca-Cola label in a mirror, the script becomes Arabic and reads “No to Mohammed, No to Mecca“, according to the web site, TheMuslimWoman.com. Snopes.com addressed this back in 2001, but who in the Muslim world would believe the likes of them? Claim: Coca-Cola’s script logo was designed to reveal anti-Islamic messages in its mirror image. Why John Bolton for the UN? I found this video clip at one of the Dems’ sites. It is from the Michael Moore site. The Libs are using the clip to try and make President Bush’s choice for UN Ambassador look like the wrong choice. However, most conservatives would find this video reassuring. Let’s fly off to Bali. Think again! Especially, if you check baggage and leave it unlocked. I often wonder if this happened to me when I was flying from Phoenix, Arizona to Dulles, Virginia. I had some papers in the zippered side pocket of my suitcase. They completely disappeared although they were of no value to anyone else. Yet, the U.S. airlines, encourage us to leave our bags unlocked, in case they need to search inside for security reasons. Could this happen to you or to me? Schapelle Leigh Corby (born 1977–07-10)   is an Australian woman convicted of smuggling 4.1 kg of marijuana into Indonesia. On 2005–05-27, Schapelle Corby was found guilty and sentenced to 20 years jail. She was also fined IDR100,000,000 (AUD13,875), with an additional six months if the sum is not paid. An Indonesian court has found Schapelle Corby, 26 year-old Australian beauty school student on holiday to Bali, guilty of drug smuggling and has sentenced her to 20 years. Corby was convicted smuggling 9 pounds of marijuana into Bali in an unlocked boogie board bad, though she has no criminal history and claimed in her defense that her bag was tampered with illicitly by baggage handlers in Australia is a drug running scheme. The verdict was broadcast live in Australia, where Corby’s case has transfixed the nation. Schapelle Corby’s story has received scant attention outside of Australia and Indonesia, … . Could Ms. Corby be truly guilty? If she is a smuggler, she is also an idiot, considering that cannabis grows wild and is readily available in Bali. She would have been “bringing coals to Newcastle.” It seems unlikely to me that she is guilty or an idiot. Please say a prayer for Schapelle Corby and her family. That is probably the only hope the young Australian woman has now. Believe it not, some, such as Nic White at The 52nd State, writes that she was judged very leniently by the Bali “justice” system. “Schapelle Corby has been found guilty of smuggling cannabis into Indonesia, and has been sentenced to a very lenient 20 years in a Bali jail.” He continues claiming that because she was a woman, she was not punished by the more usual beheading. Thank God for such favors. The Aussies must be desperate to vacation in such an extremist country. You are currently browsing the Kerfuffles and Flourishes blog archives for May, 2005.